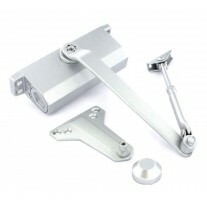 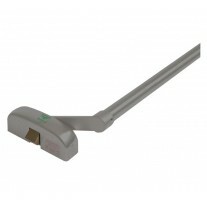 This digital door lock with lever and satin chrome finish is a great alternative to regular door locks. 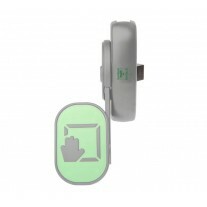 Offering an enhanced security push button lock mechanism which prevents the code from being detected by professional intruders, these digital door locks are suitable for fitting on high-traffic timber doors measuring between 35mm and 65mm in thickness. 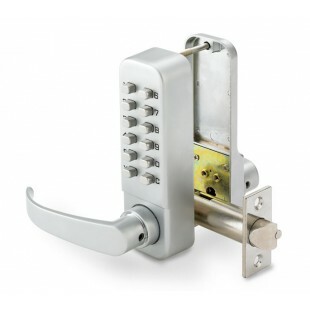 These digital locks have also been included in a successful fire test to EN1634-1 and have completed a 240 hour salt spray test to EN1670, making them suitable for use on both internal and external doors. 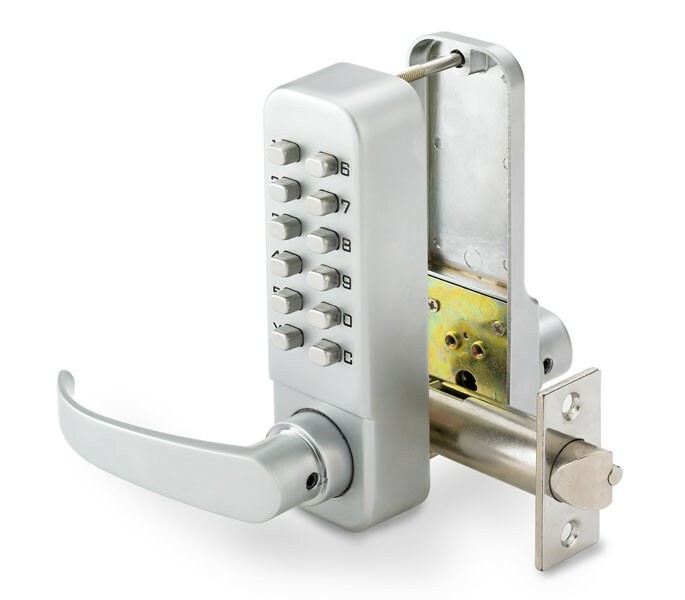 Manufactured from a compact and resilient zinc dye cast and presented in satin chrome these locks are sold complete with keypad, lever on backplate, deadlocking tubular latch with 60mm backset, spindle, strike plate, dust socket, bolt-through fixings, wood screws and black neoprene weather seals required for installation.